Open carry advocates gathered in St. Louis on Saturday to conduct a walk and help educate residents about recent changes in gun laws, but not everyone agrees the new legislation is a good thing. 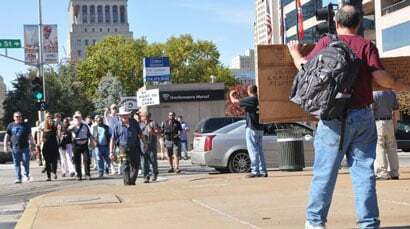 Several dozen open carry supporters, some armed with long guns, some armed with handguns, but all properly holstered and slung, met at an area restaurant and marched to the Gateway Arch. Police were present, but did not get involved and no violence erupted. Event organizer, Jeffry Smith, told KSDK that the goals of the walk were to educate others about and test the changes brought about by Amendment 5. “The state of Missouri has, among the 50 states, the strongest constitutional amendment in regard to the right to keep and bear arms,” Smith said. Richard Lofftus, who helped Smith organize the event, feels the pro-gun legislation will have a positive effect on the state. 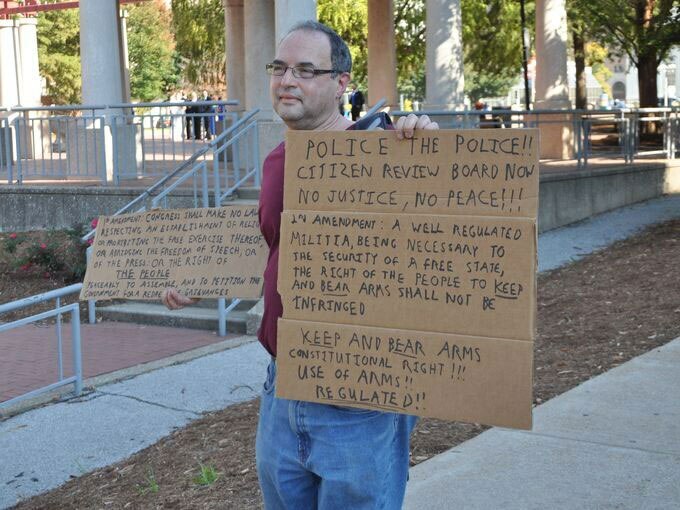 “I believe there is a consistent reduction in crime as legal gun ownership goes up. The criminal element to crime and guns typically involves illegal gun ownership or illegal use,” Lofftus said, adding that criminals typically hide their firearms, not carrying them openly like the participants in the walk. Protesters held signs up during the walk to express their discontent, and after the walk, St. Louis Mayor Francis Slay voiced his concerns during a press conference. A few women representing Moms Demand Action For Gun Sense in America stood with Slay during the press conference.